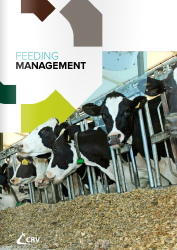 The Dairy Management Guide is developed for dairy farmers worldwide and provides information to simplify and improve many dairy farm processes. The practical information is supported by many useful tips, calculations and clear figures to make reading easy. Together with CRV’s dairy management consultant, Mr. Fokko Tolsma, this collection of dairy farming knowledge was worked out, using his years of experience and many of his unique pictures from dairy farms all around the globe. 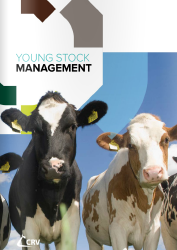 Consisting of ten issues with topics varying from young stock management to housing, reproduction and milking, the Dairy Management Guide complements farm processes everywhere in the world. 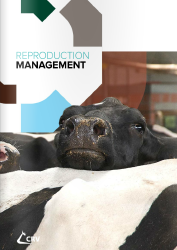 Moreover it provides strategic information on breeding, economics and health issues to improve the profitability of your farm and ensure your cows to enjoy a longer life. 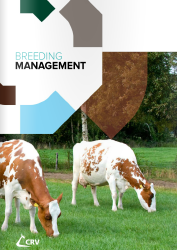 The Dairy Management Guide issues can be ordered separately or all ten in a convenient binder.